Fair. Slight water damage to some pages **SHIPPED FROM UK** We believe you will be completely satisfied with our quick and reliable service. All orders are dispatched as swiftly as possible! Buy with confidence! Good. 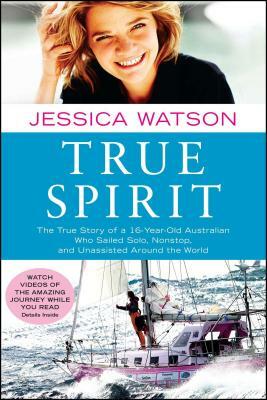 True Spirit: The True Story of a 16-Year-Old Australian Who Sailed Solo, Nonstop, and Unassisted Around the World by Watson, Jessica, 2010-09-07. Trade paperback (US). Glued binding. 356 p. Contains: Illustrations, black & white, Illustrations, color, Line drawings, black & white, Maps, Charts.